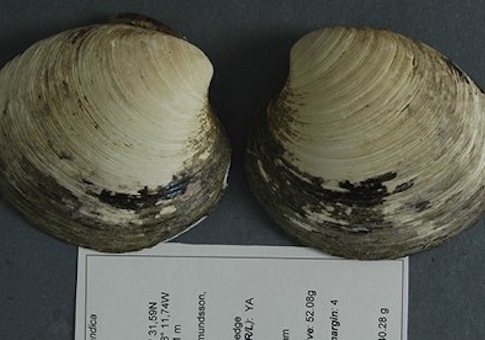 A group of "climate change experts" that discovered a 507-year-old clam that was the world’s oldest known creature killed it in the process of determining its age. The scientists, determined to count the rings on the inside of the clam’s shell, killed the creature instantly when they opened it up. The Bangor University scientists who murdered the creature also got its age wrong when they published their initial findings, reports the Mirror. "Christened Ming, it was found by climate change experts from Bangor University in north Wales on a trip dredging the seabeds of Iceland in 2006. After the discovery, scientists counted the rings on the inside shell to work out Ming had been a wise old 405. But now, seven years on, new calculations show the original age was wrong, and the clam was actually 102 years OLDER." Other innocent victims of environmentalism include the more than 600,000 bats and eight federally protected golden eagles killed by wind turbines in 2012, as well as the baby tortoise and kit fox populations threatened by federally financed solar projects. This entry was posted in Issues and tagged Climate Change, Solar Energy, Wind Energy. Bookmark the permalink.